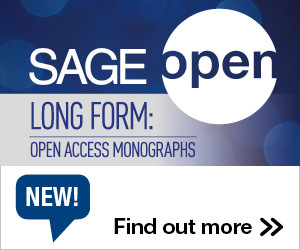 “Stories have the power to bring all voices into the conversation in ways that other approaches may not be able to do,” says Scott F. Abernathy, associate professor at the University of Minnesota and author of the SAGE textbook, American Government: Stories of a Nation. College professors are always looking for ways to help their students feel more engaged and invested in course material. With students coming from an increasingly diverse range of backgrounds, beliefs and opinions, it’s not always easy to get a whole class excited about a given topic. Dr. Abernathy states that one strategy to effectively create such an environment is storytelling. According to an article from CQ Press, “cognitive research and classroom evidence consistently support storytelling and the use of narrative as a valid teaching and learning strategy improving engagement, critical thinking and concept retention.” Storytelling gives context to facts and complex concepts that could otherwise be difficult to grasp. This in turn engages students in the curriculum and improves their retention of it. It can also foster further discussion of the topic, strengthened empathy and connection between students and professors and increased inclusion within the classroom. Research shows that hearing stories even affects the chemical makeup of our brains. 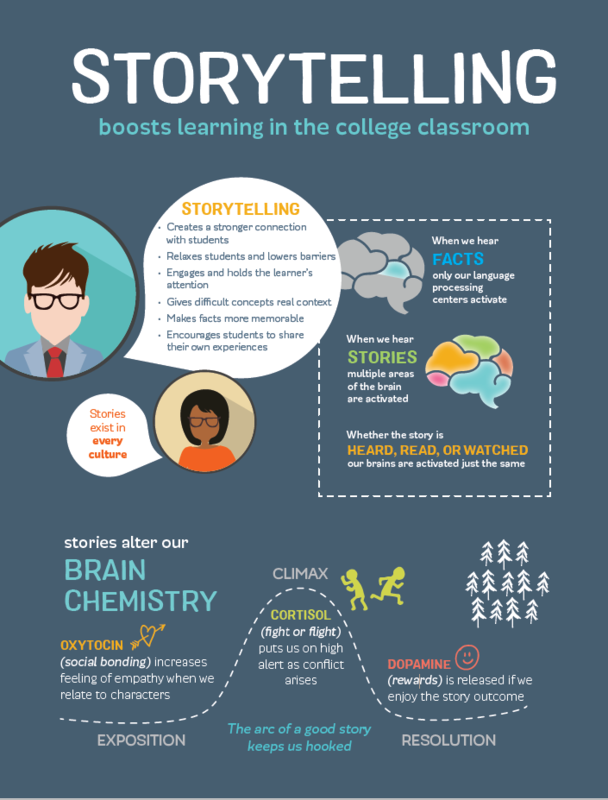 View the infographic below for a breakdown of why storytelling is so effective and tips on how to bring stories to your own classroom. 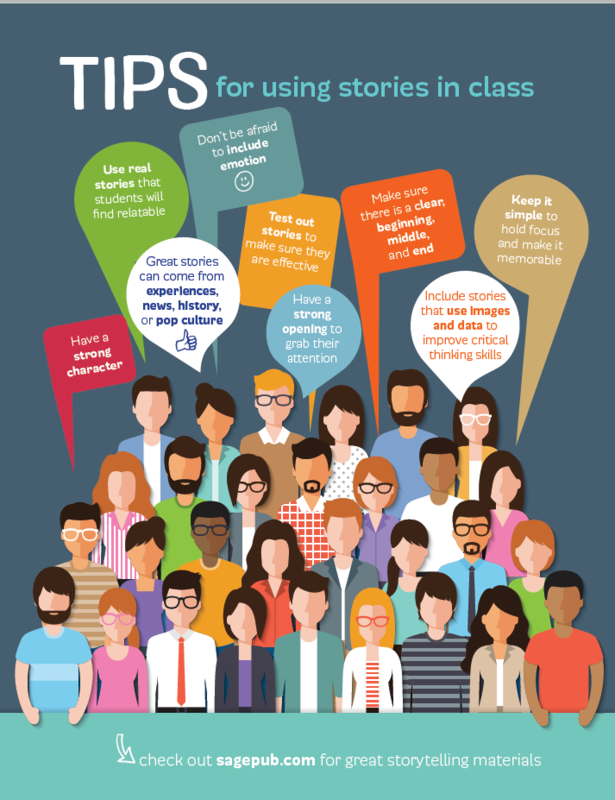 This entry was posted in Bookshelf, Tips and tagged Infographic, Storytelling. Bookmark the permalink. Post a comment or leave a trackback: Trackback URL.